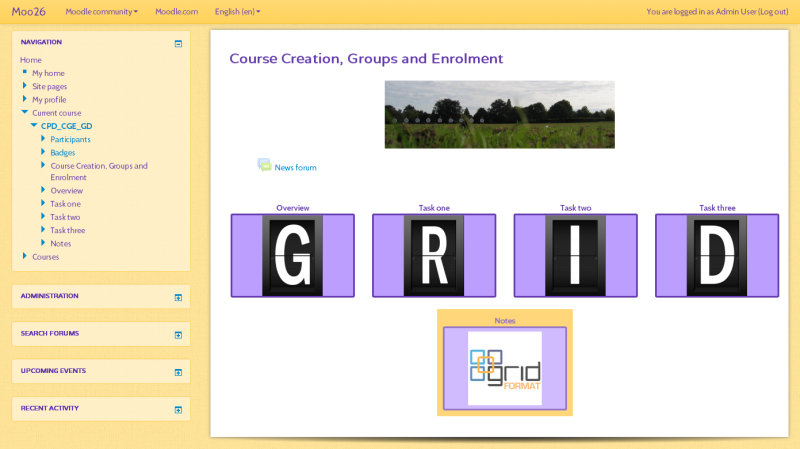 The Grid format is a modular and visual course format. Hides all topics and creates a grid of icons (one for each topic) with short titles. Clicking on an icon brings up the content from the corresponding topic in a “lightbox” style display. It was originally developed by Paul Krix and then Julian Ridden. I have now taken over its development, maintenance and support. You can download the format from moodle.org here.